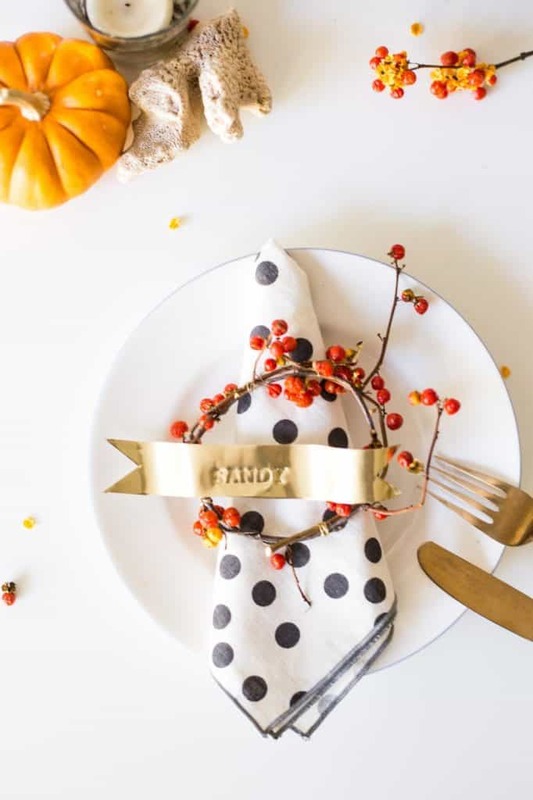 Decorating a table for Thanksgiving with some fun ideas today in this post! Create your own Thanksgiving place cards that will stand out and be appreciated by your guests. The Thanksgiving dinner menu has been my job for as long as I can remember and I love to cook the Thanksgiving side dishes that I learned by watching my dad as a child. 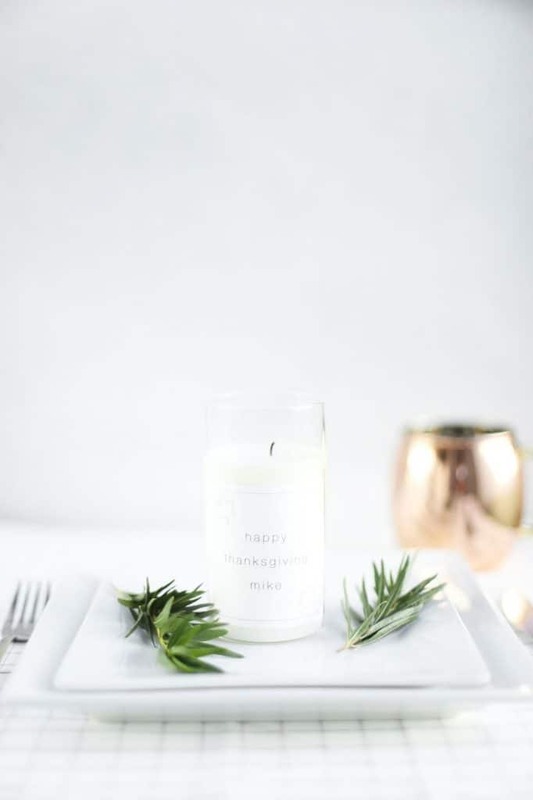 It’s all about making memories and family and these place cards can be made ahead of time for less stress. 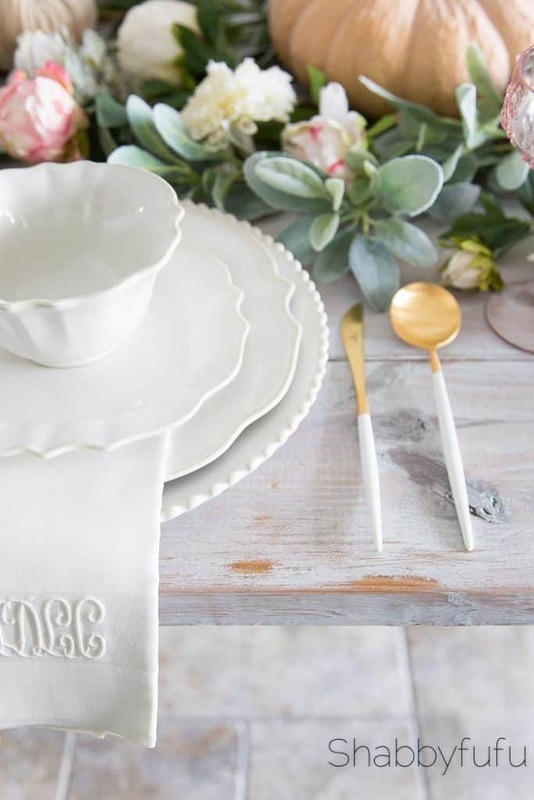 This place card below is for gifting and Kristi Murphy gives us something that’s just plain and simple. I’m gravitating to more of that these days over here! 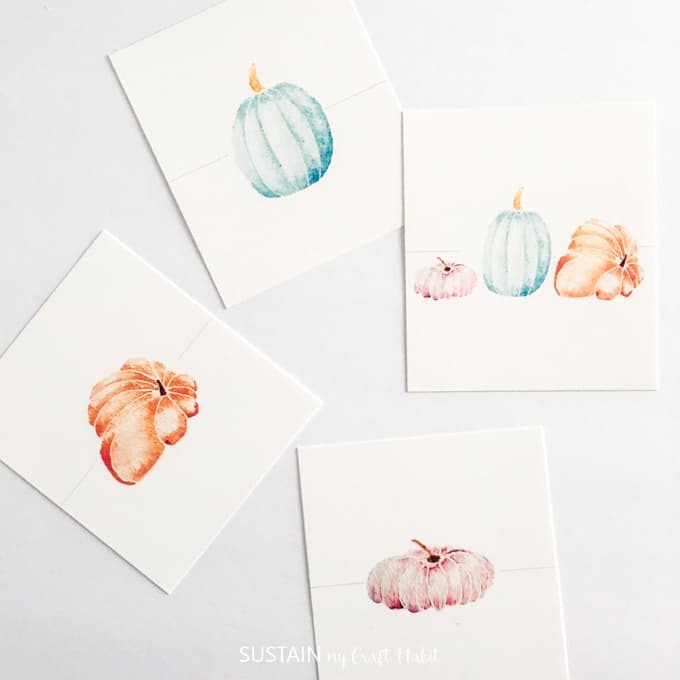 Sustain My Craft Habit has these darling watercolor printables as her Thanksgiving place cards and you’ll find them on her blog. Flax and Twine offers this idea and tutorial for gold ribbon stamped place cards that is just so elegant for any occassion. 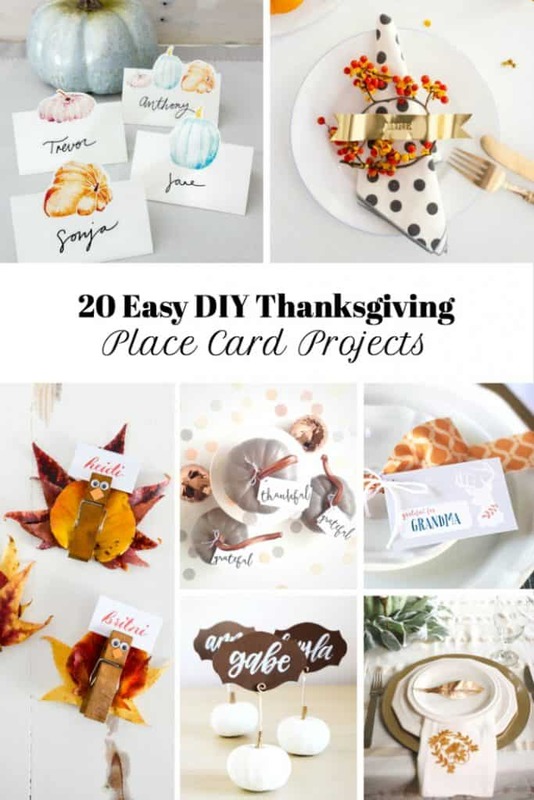 Here are some more PLACE CARD IDEAS for decorating a table for Thanksgiving and several of them have FREE printables. 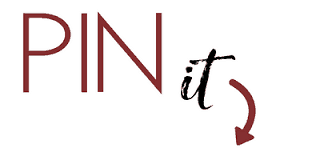 Subscribe for my free Seasonal Decorating Guide Book! WoW !! Thank you for the PLACECARD printables…. PINNED and filed. NOW which do I use !! So many choices. 🍂linda of no. cal.